Someday I will stop blogging in lecture, and start listening to my professor. But someday is not today, because here I am! 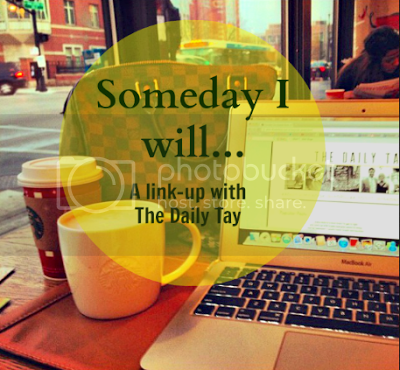 Linking up with Tay Tay! Someday I won't be so cliche as to put a reflective word on a picture of a sunset. Someday I will ... have a bigger conflict in my life than having to determine whether I actually want Emma Swan with Captain Hook or with Neal/Baelfire in Once Upon A Time. Someday I will ... stop wondering why I don't have a thigh gap and just accept that it really is because I eat four desserts a day. Someday I will ... learn to get my ducks in a row. Someday I will ... find out exactly what I want in a career, instead of throwing three sentence long descriptions around. Or maybe someday I will create that perfect dream job for myself. Someday I will ... learn how to cook without burning water in the process. Someday I will ... be able to walk by Starbucks and not buy a second cup of coffee. 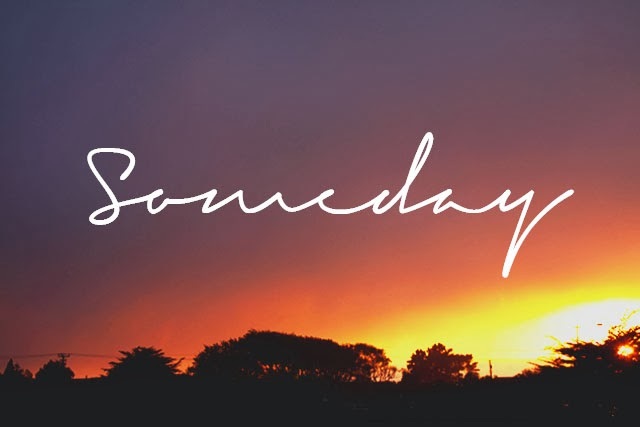 Someday I will ... step foot onto all seven continents, see many countries, experience countless cultures, and document everything along the way! Someday I will ... have a puppy and finally know what it feels like to have a canine soul mate. Someday I will ... fall in love - madly, passionately, genuinely. And I won't ever let him go. Someday I will ... learn how to use my fancy pants camera properly, instead of twiddling around with the buttons until the picture magically looks nice and telling everyone I'm a master with the manual settings. Someday I will ... have 100% faith in myself and know positively, without a doubt that I can do anything, be anyone, live however I want to and not give a damn what anyone else thinks or expects. You can never go wrong with a canine soulmate! I wouldn't trade my mutts for anything! :) I have a fancy camera and I pretend I know what the heck I am doing every. single. time I use it. loved this post! i just found my canine soul mate two and a half months ago - he was a little stray dog that was going to be put down if they couldn't find a short-term foster...so i signed up and two days later decided to adopt him :) it was love at first lick! I loved reading this post! I especially like that you said perhaps you'll have to create your dream job for yourself :) sometimes I feel that way as well!